Home Entertainment Review technology Try NOKIA ASHA 310 DUAL SIM & WLAN Now! 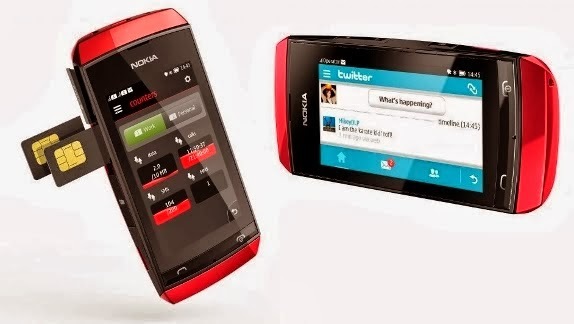 Try NOKIA ASHA 310 DUAL SIM & WLAN Now! You may want to have a mobile phone that you can use anytime and put inside your pocket carrying all the applications that you want to access to. The thing about choosing the right kind of phone for us does not just depends on how we like its appearance the most, but it should also synchronize with our lifestyle. And since we are into multi-dimension lifestyle, as much as possible, we would like to have a phone that has it all. I mean everything that we can think of making use. With this, I would like to introduce to you Nokia Asha 310 Dual Sim. Touch screen: We live in a world where in one touch could lead us to our destination. And yes, this phone has this kind of nature. Faster browsing and connection: If you are going online, it is not a problem anymore because you will certainly save lots of money due to the fact that you will be able to connect faster than the usual with the use of this phone. You can send emails and browse your favorite sites in a jiffy. Play and enjoy: Enjoyment is the phone’s game. Enjoy playing good games without hassles because this phone can support several games without hanging. You don’t need to turn it off when swapping sims: And this is what makes it amazing! Most phones demand turning off when swapping sims. This phone is different from them because you don’t need to switch it off just to do that thing. Aside from the fact that you can make use of two sims together, you won’t find any problem switching it on and off. Amazed by this info? Well, it’s about time for you to have one Nokia Asha 310 Dual Sim now!